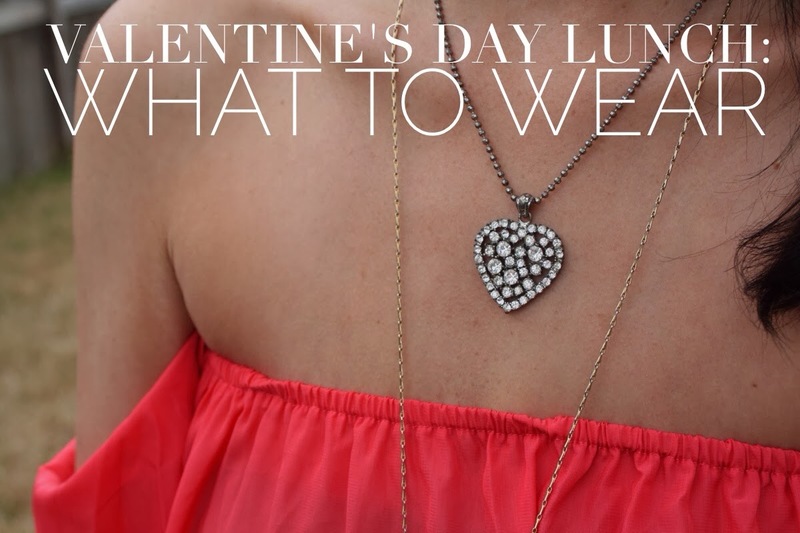 Today, I'm excited to share a Gracefullee Made's guest post with Tara over at Gemmy Junky to feature an adorable 'What to Wear to a Valentine's Day Lunch' post. 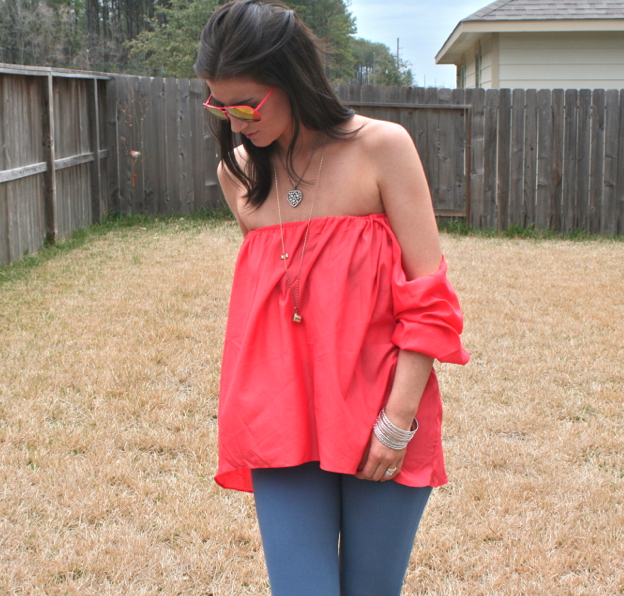 Tara is a fashion blogger living in Texas, and I am just in love with her adorable, flowy top! A little side-note: I purchased these turquoise earrings back when Gemmy Junky was an online shop, and I'm still obsessed with them. Anyway, make sure you show Tara some love and stop by her blog to say hello! Hi everyone! My name is Tara and I blog over at Gemmy Junky! I’m very flattered and particularly excited to be guest blogging for Grace about my Valentine’s Day lunch date outfit! I think we all automatically assume that for this special day, everyone is going to be dining or celebrating in the evening. I know there are tons of couples whose schedules don’t sync and won’t be able to plan a date-night. Insert: Valentine’s Day Lunch Date! I know for most of the United States, the weather is close to ice age status. However, here in Texas it’s about a comfortable 60-65 degrees during the day. I balanced this flow-y and forgiving Boulee top with my skinny H&M pants I picked up last fall. These two colors together pulled off just enough attention without being too “in your face.” Layering my longer gold chain with this Betsey Johnson heart necklace gave the outfit a finishing touch along with my new, pink flash sunnies that finalized the look!